Most of us prefer playing it safe when it comes to our beauty and fashion choices and do not really push the envelope to experiment with looks beyond our comfort zones. But hey come on, there are days when one must try something new, something unconventional, unorthodox, unfamiliar and yet original. Here's some 'out of the box' looks our Bollywood beauties pulled off and hit the bulls eye with complete ease. Aishwarya's lipstick was more talked about than probably any movie that was showcased at the Cannes Film Festival of 2016. After facing some flabbergasted reactions, on the whole the look was received well. Most iconic brands have been releasing their versions of this colour since, not only in lipsticks but in eyeshadows, nail paints, eye pencils and more. So try a colour you've not worn before. Feel different, allow people to see a different you. Sometimes new colours bring out a new YOU. Wonder why designers did not explore this stunning combination of Gold and Silver as much. 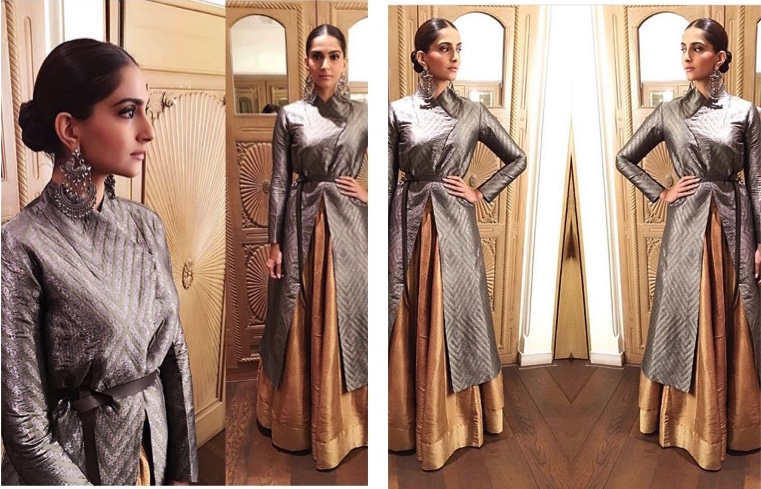 These 2 colours feature on almost every outfit at Indian weddings / festivals and Sonam Kapoor did a fabulous job in this Payal Khandwala outfit. The pairing of Gold and Silver was refreshingly different. Mix Polkas with stripes, or strips with florals or any combination your imagination can come up with. Accessories teamed with regular T - Shirts can also make one stand out so why not play with some jewellery. 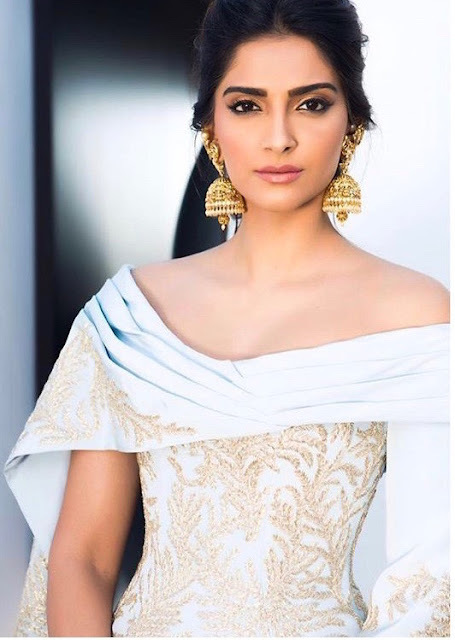 Like Sonam Kapoor combined a Ralph and Russo outfit with jhumkaas from Kalyan Jewels. Now thats some pairing !!! Don't these stylish avatars stir up your imagination ??? So try some combinations best suited for you but remember to choose your style wisely. If you have any such unique ideas, do share them with us.